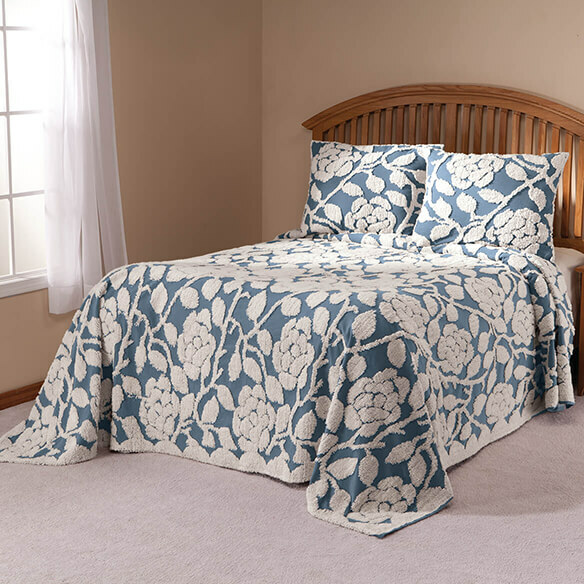 The Grace Chenille Bedspread by OakRidge™ lets you get a dreamy night’s sleep in a modern floral design and lush cotton chenille tufting. Choose from 3 contemporary colors to complement any bedroom décor: ivory, taupe or blue. Ordered bedspread because it was big enough for an oversize mattress on a king-size bed, and it was the right size. However, the chenille was flat and fabric was thin and cheap. Also, the color did not match as I had hoped.